May 26, 2018 5:12 pm. Imported three-year-old Fifty Stars has extended his winning streak to four with an impressive win at Sandown. 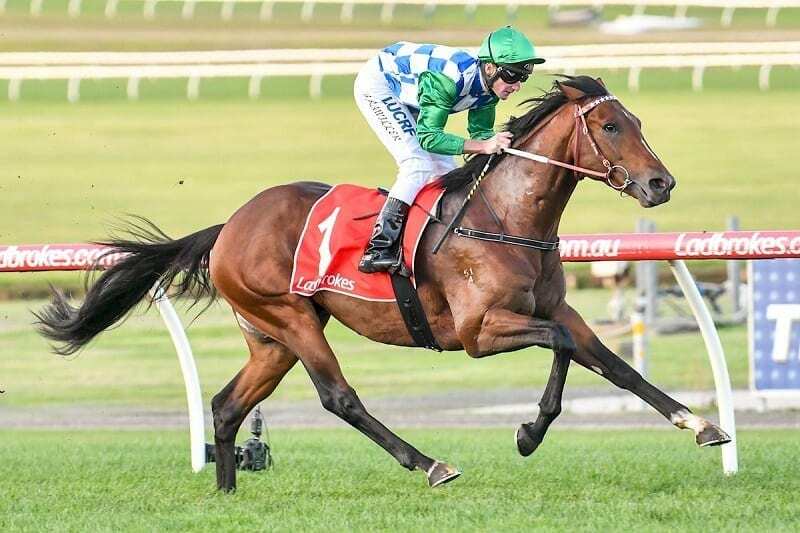 After victories at Warrnambool at his first two starts, Fifty Stars was successful in midweek company at Sandown before adding the Ladbrokes Multimaker Handicap to his record on Saturday. Ridden by Brad Rawiller, Fifty Stars was sent off the $2.40 favourite before scoring by 3-3/4 lengths from Andaz ($5.50) with Duality ($6) 1-3/4 lengths away third. Trainer Darren Weir said a trip to Brisbane may now be on the cards for the Irish-bred three-year-old, bred to northern hemisphere time. “The Queensland Guineas is an option and it’s something that we’ll seriously consider now,” Weir said. The Group Two Queensland Guineas (1600m) will be run on June 9.